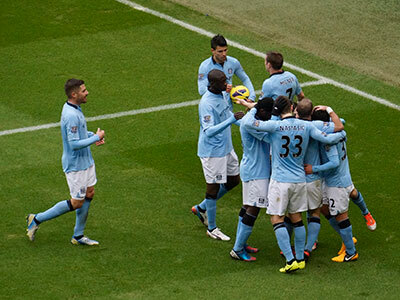 Great win by City after an excellent team performance. 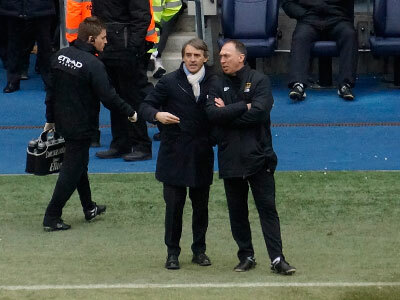 A tough battling first half was notable for a succession of fee kicks that went against City. 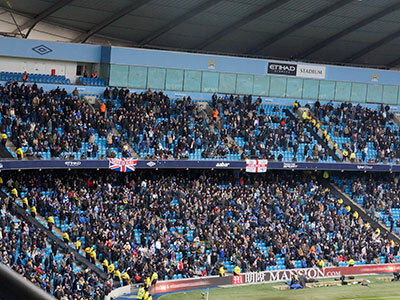 So much so that when City won a free kick a huge cheer went round the stadium! 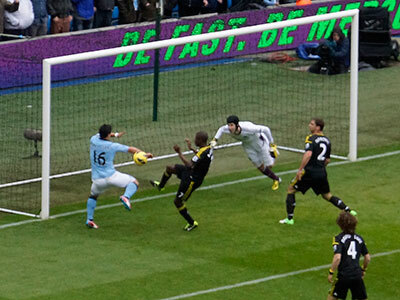 City were certainly playing well and the Chelsea goal had some narrow escapes. However though Aguero - on his own up front - tried hard, there was something missing in the final third. 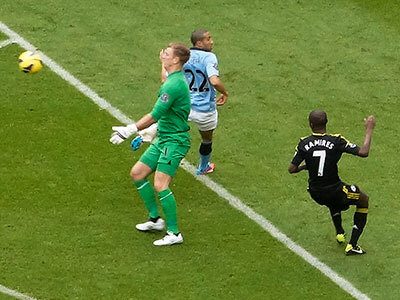 Things looked bad when Hart brought down Demba Ba and a penalty was awarded. 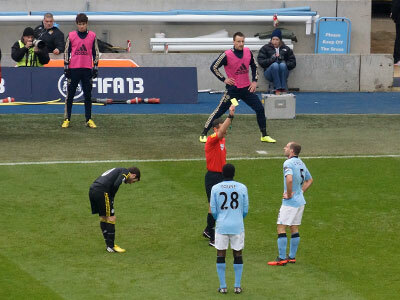 After several City players had already been given yellow cards Hart escaped further punishment. 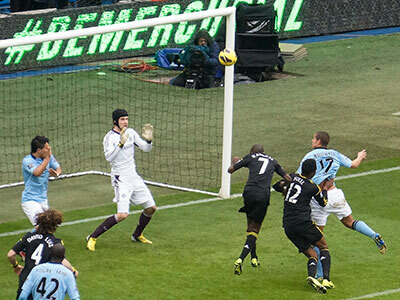 Lampard took the kick and Joe Hart guessed correctly diving to his right to block the ball. A brilliant save indeed! Rodwell played really well in the first half and must have been disappointed to be substituted by Tevez but the substitution did the trick with more brilliance from Yaya Toure who passed the ball into the net. A moment of sheer magic! A further bit of magic came from Tevez who cracked the ball home with just five minutes to go. The defence played really well giving Joe Hart plenty of cover and apart from the penalty he had only one other shot to save all game unlike Cech who was busy throughout the match. 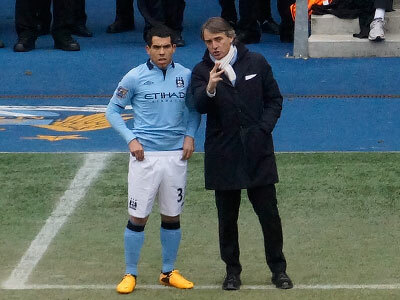 Rodwell made a surprise appearance and Tevez returned to the bench. 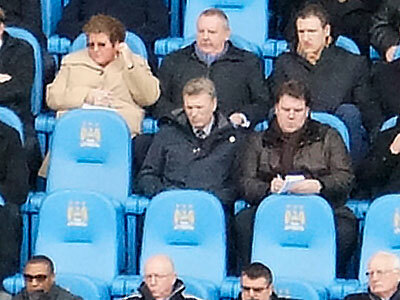 Still no Kompany - Toure standing in for him. 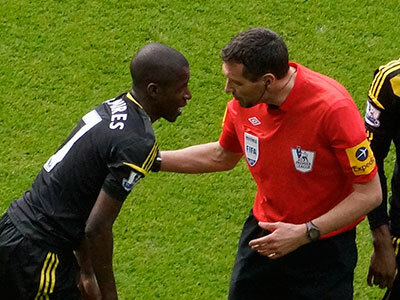 The referee checks if Ramires is still alive! 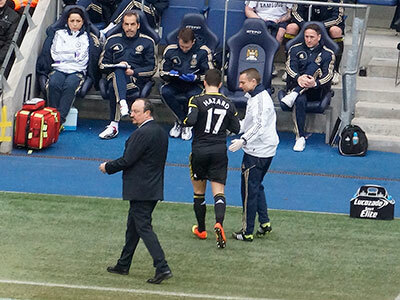 Nastasic goes to check if Yaya Toure is still having a nap! 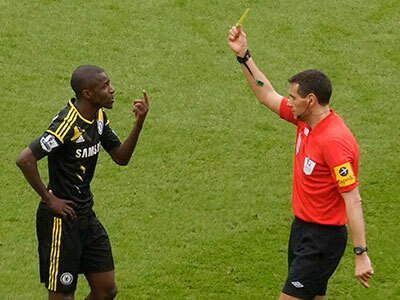 Ramires gives the ref a one finger salute as he gets booked! Early in the second half Aguero tries a spectacular over-head kick but the ball goes wide. 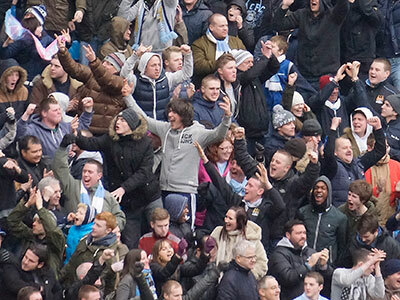 Aguero lets the City supporters behind the goal how he feels about that! 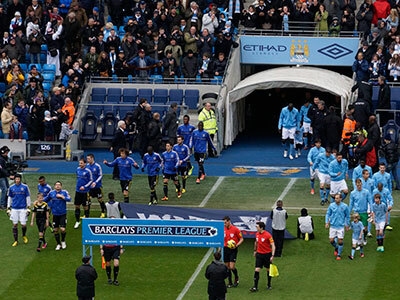 City subs Dzeko and Nasri enjoy the moment while the South Stand let the Chelsea fans know how they feel! 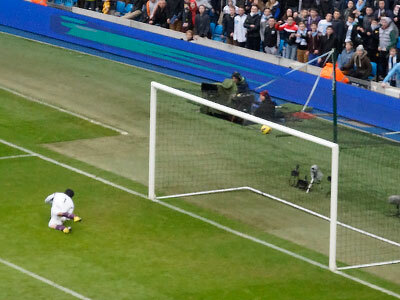 ....who lashes the ball past Cech to make it two nil and game over! Luiz gets to grips with Yaya Toure!